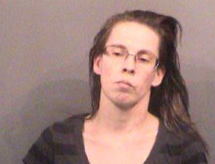 WICHITA, Kan. (AP) — The mother of a 3-year-old Kansas boy whose body was found encased in concrete last year says her boyfriend killed her son and that she was in the home when it happened. 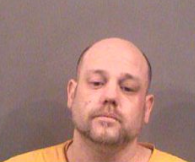 Miranda Miller testified Monday in a preliminary hearing for Stephen Bodine, who is charged with first-degree felony murder in the death of Evan Brewer of Wichita. Miller also is charged with first-degree murder in the boy’s death. She waived her preliminary hearing earlier Monday and pleaded not guilty. During Bodine’s hearing, prosecutors played audio and video recordings from the couple’s home. Bodine could be heard yelling at Evan, who was sometimes crying or screaming. Video screenshots showed Evan naked with what a Wichita police detective said was a belt or collar around his neck.